This is the talk I gave at the Activist’s Table Conference, which took place at UC Berkeley on March 15, 2014. It was sponsored by the Factory Farming Awareness Coalition. I talk about Sistah Vegan and also read from and analyze my newest book, Scars, a social fiction that intersects issues of racism, internalized homophobia, and speciesism to name a few. This is my first public presentation of my new book and reading excerpts from the much anticipated novel. 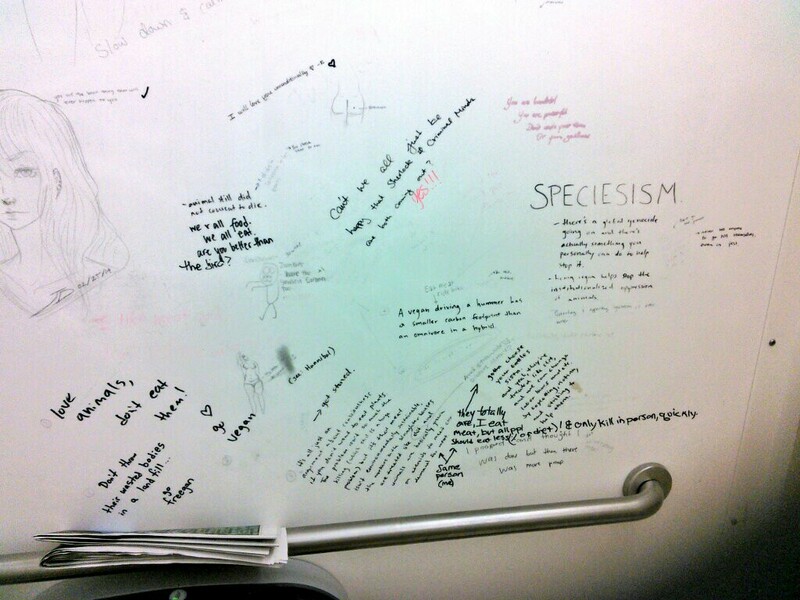 In addition, check out the graffiti on the wall of the bathroom stall that was right down the hall from where I gave my talk. Perfect timing!